The SEC may be moving away from pursuing admissions of guilt by companies as a condition of settling certain fraud cases, according to a Sept. 26, 2017, article in the Wall Street Journal. A kinder, gentler and leaner SEC? The article cited a statement by Steven Peikin, co-director of the SEC’s enforcement division, at a securities conference earlier that day. Peiken also indicated that because of budget constraints, the SEC will be abandoning the “broken windows” strategy of going after even the smallest violations by companies. A decision to pull back from requiring that companies admit to wrongdoing in order to settle their cases could irk politicians who in the past have lambasted the SEC and its former chair, Mary Jo White, as being “too soft” on Wall Street when they agreed to settle cases by allowing defendants to pay penalties while neither admitting nor denying the allegations against them. 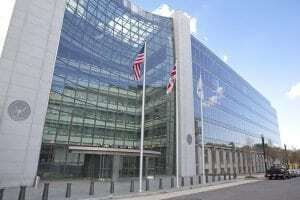 The SEC had announced in 2013 that it would make companies and individuals admit wrongdoing as a condition of settling civil charges in certain cases. Yet few settlements included such admissions, the WSJ article said. Citing research from professor David Rosenfeld of Northern Illinois University College of Law, the WSJ article reported only about 2% of 2,063 cases filed between 2014 and 2017 elicited admissions of guilt. The SEC, now led by Trump appointee Jay Clayton, had about 1,400 employees in 2016 but could have 100 fewer investigators and supervisors by this time next year through attrition, Peikin is quoted as saying. “It may be the case that we have to be selective and bring a few cases to send a broader message rather than sweep the entire field,” WSJ quoted Peikin, who also said the SEC would continue to doggedly work to root out intentional wrongdoing that results in losses for investors. You can find more information from the SEC at its website: www.sec.gov.